Great! Now you can move, zoom to view map detail for your best answers. 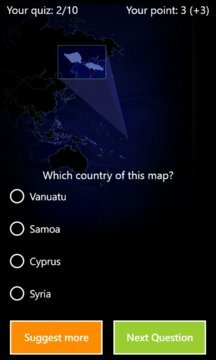 This quiz game is easy to play. All you need is world maps and country knowledge. One question has 2 suggestion within 2 minus point. 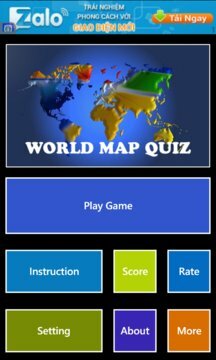 Play this quiz sometime, all knowledge of world maps is yours. SimpleWays - Simple, easy but useful.